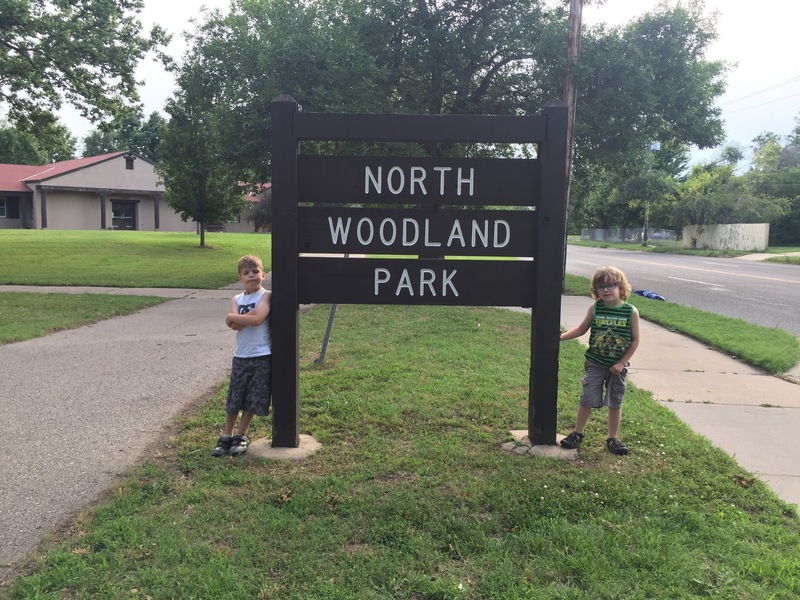 Woodland Park – North was a perfect park for a beautiful summer evening! 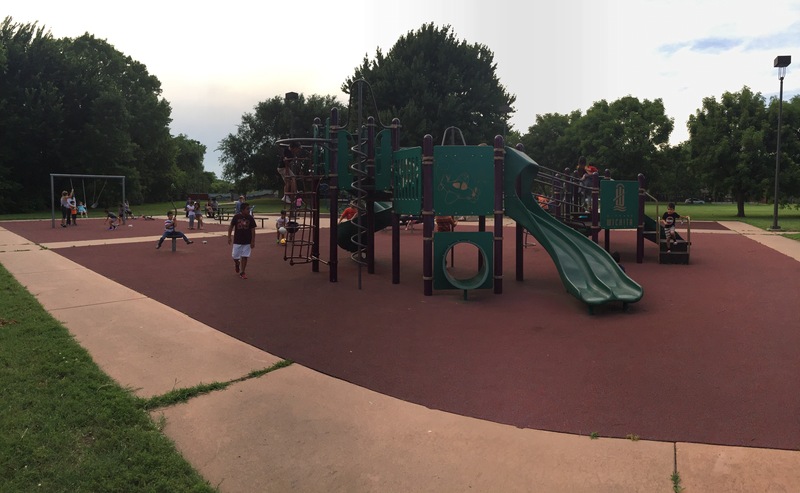 This is another park my dad used to take me to when I was little and neither one of us had been there in a long time. It has really changed! 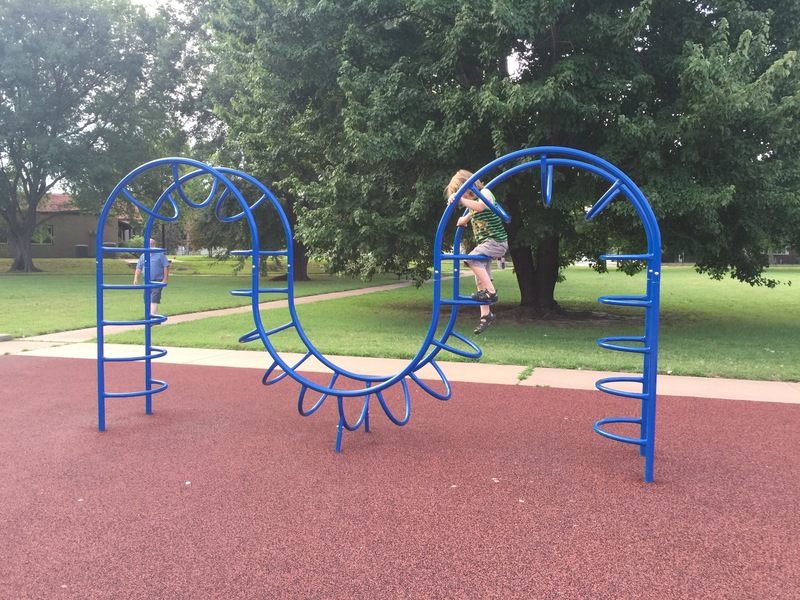 There’s a new picnic shelter and a new playground, and it looks great! I was amazed at all the activity. 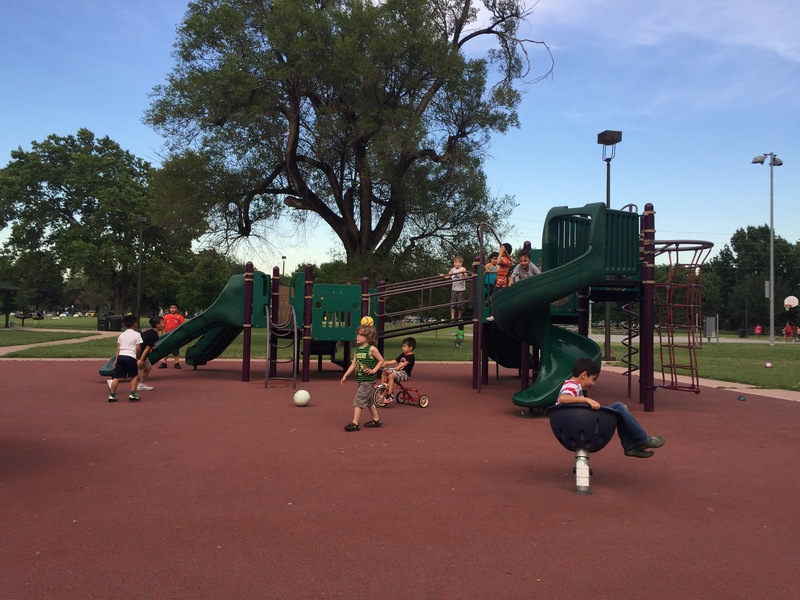 The playground was packed and in the athletic fields, there was soccer practice, a softball game and a game of basketball all going on at the same time. 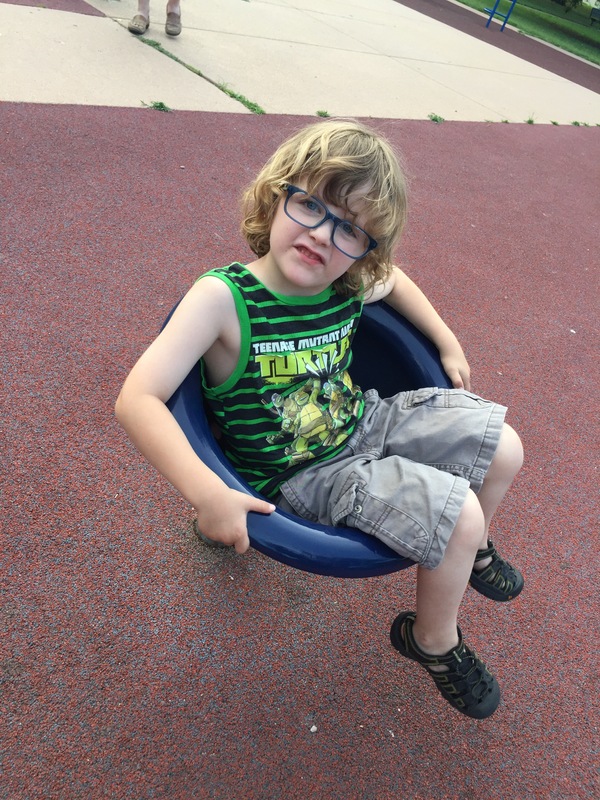 Mom Tips: Since there were so many kids, and not a place specifically for “little ones,” it got a bit rough. The parking is a bit hard to find, but again, this is a neighborhood park so that’s to be expected. 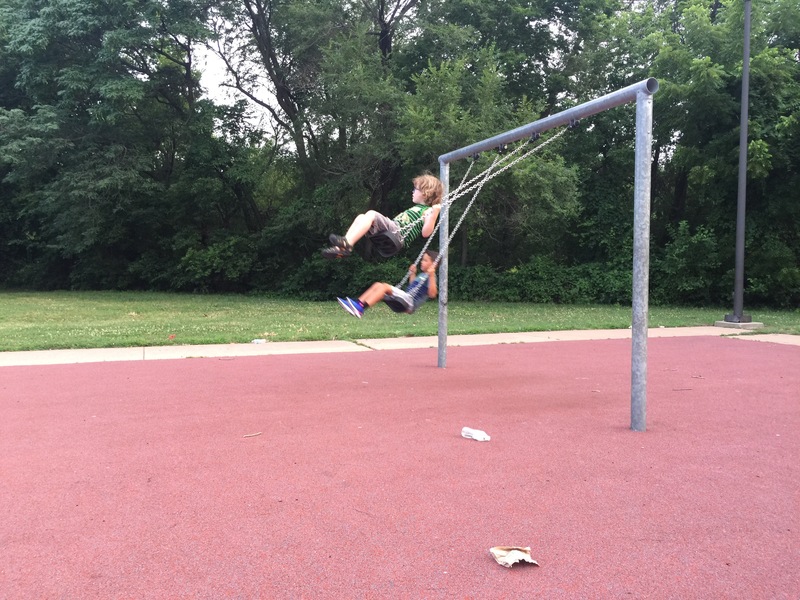 I would love to have a picnic dinner here with the kids sometime – it’d be perfect for that! 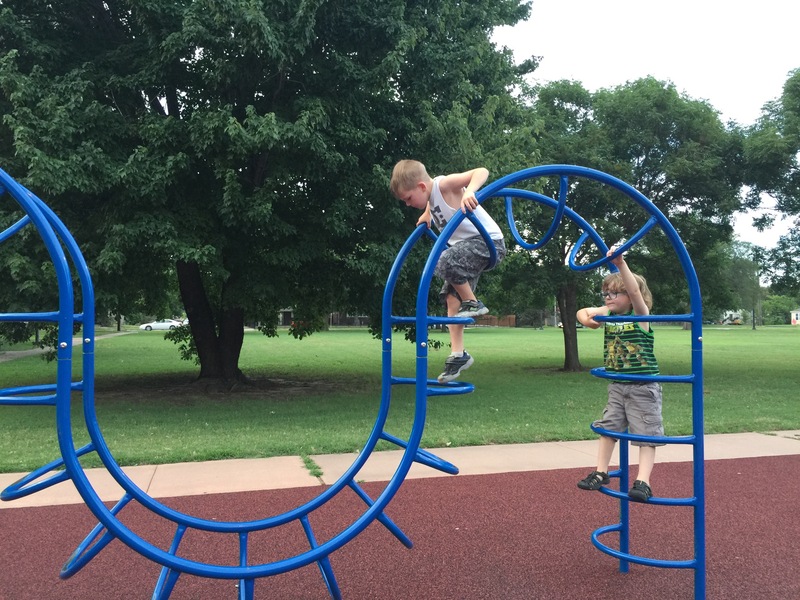 Kid Tips: “The kids at this park were really nice, and we played an awesome game of tag!”- Weston. 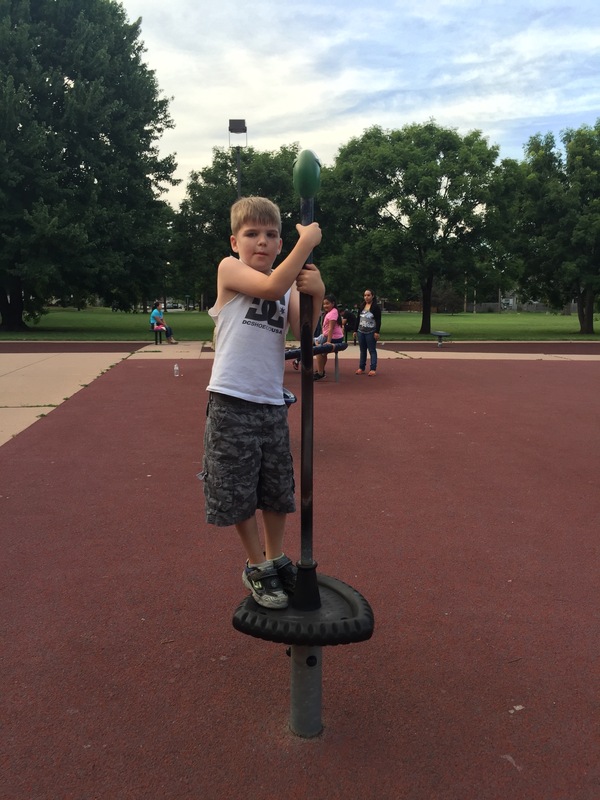 Sully enjoyed the “spinny donut thing” and the swings.